Add a bold, industrial look to your walls with Manhattan frames, which are hand-welded in a family-owned metalworking shop in Minnesota. Large in scale, these frames provide a geometric, graphic touch and a unique setting for your photos or artwork. Choose among a range of timeless colors, which are produced by powder-coating steel for a durable, smooth finish. 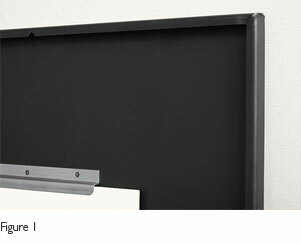 Manhattan frames provide a high-impact display, whether hung vertically or horizontally, individually or in groups.